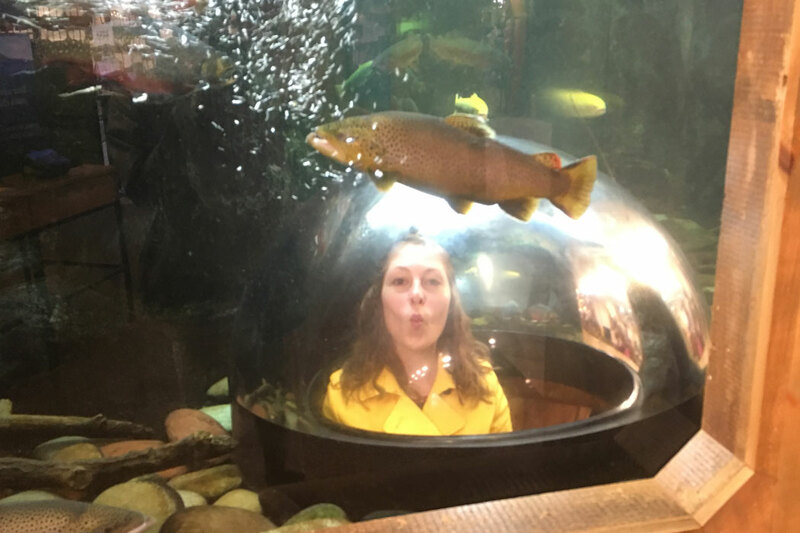 When we launched last year’s inaugural Great Maine Scavenger Hunt, we weren’t sure anyone would even be ambitious/crazy enough to attempt it. We underestimated you. 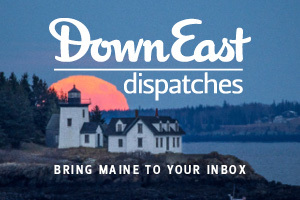 As we launch this year’s hunt, we salute the many participants and finishers from 2017 — and share a few of our favorite stories, gathered from every corner of Maine. Only finished five tasks, but is a dog! 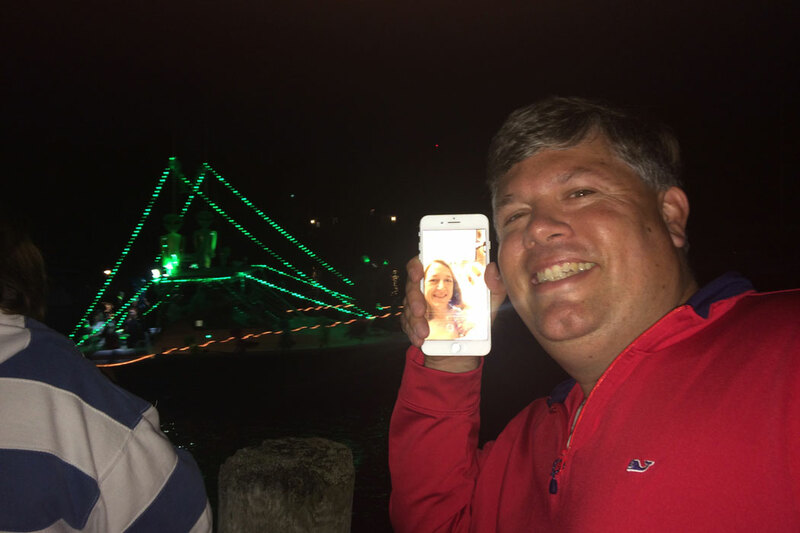 We started when Carolyn was nine months pregnant, and I drove from Bangor to Kennebunkport the day after our daughter was born to get a selfie with the lighted boat parade at the Launch! MaritimeFestival. That’s how committed we were to completing the scavenger hunt! We completed the majority of tasks with an infant and a toddler, so adventures and misadventures were abundant! Attending the Sweet Chariot Music Festival on Swan’s Island was probably the most challenging. We didn’t realize there was no public transportation on the island and limited accommodations. We could get my truck on the ferry, but they couldn’t guarantee it’d get off the island, so we decided to leave it in Bass Harbor. We also learned that the harbor where the singing was taking place was across the island from the ferry terminal. We had a stroller, an infant and toddler, and no vehicle. So I started talking to people in the ferry building as we waited to load and met a man from Maryland who lived about a mile from where I used to have an office. We had a great conversation, and he offered to drive us to the lighthouse, where he thought we could get close to the harbor. From there, we walked to the Odd Fellows Hall, where we met a professor who lived in Orono. He offered to drive us to the dock where the musicians would board their boat and then to drive us back to the ferry when we’d finished watching them perform. 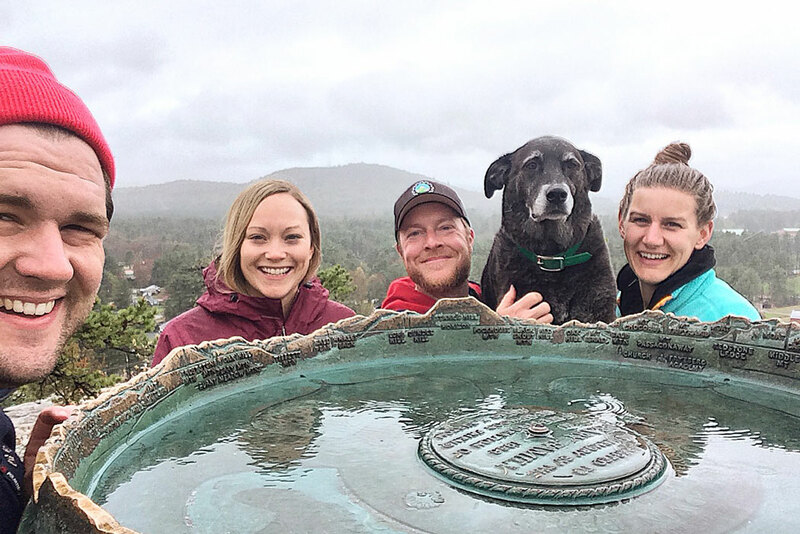 It was a wild hitchhiking journey for a family of four, and we had a blast! 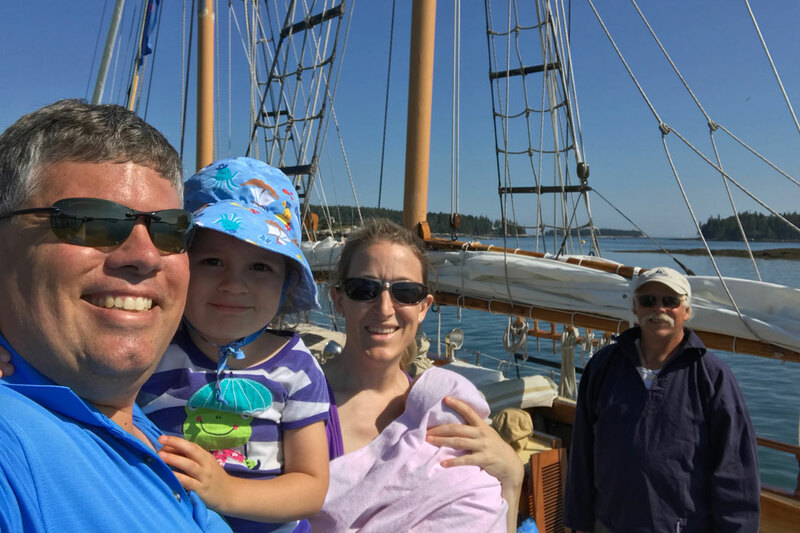 From Eastport to Madawaska, from Kennebunkport to Swan’s Island, the people we met were the most memorable. The scenery is beautiful everywhere, but it’s the people that make this state so unique and special. It was an amazing journey and an incredible summer. I saw the article while I was at the doctor’s office a few days after my husband and I got married. I love a good challenge and thought it’d be a great way to spend our summer. We treated this as our honeymoon. And once my mind is set to something, there’s no changing it, so my husband had to get on board. 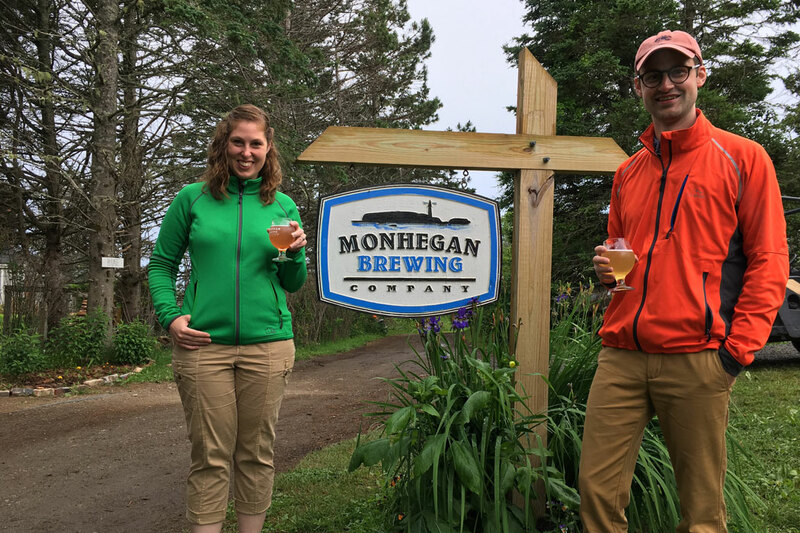 We’d been to Monhegan before, for Trap Day, but at the time, the brewery didn’t exist. I’m not a big beer drinker, but they had a rhubarb ale that they added strawberry syrup into that was to die for! The best food we had all summer might have been at the Monhegan House, where we stayed — I had honey-roasted chicken with whipped carrots and rhubarb compote, and I’ve been trying to recreate the carrots ever since. Madawaska and the Allagash were the only two areas where I’d never been, and both were amazing. My husband saw his first moose (a cow and a calf) heading up to Eagle Lake, and Madawaska was just very different from what I’d expected. So many mountains but also a lot of farmland — the contrast was striking. I truly think this was a once-in-a-lifetime opportunity, and I can’t imagine a better way to have spent our honeymoon. We had a summer filled with great memories. There were definitely moments when we questioned our sanity. 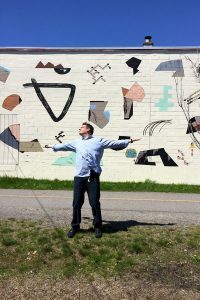 As someone who isn’t a resident or summer resident of Maine, scheduling my life around the five or six events that only occurred on one or a few days was the biggest adventure. I always had someone with me, and that was the best part. I hit four or five stops with my best friends (hysterical, fun boys’ trips), had wonderful times with my wife, and had some very enjoyable days with my son and our friends. The closest I came to misadventure was on Tumbledown Mountain. 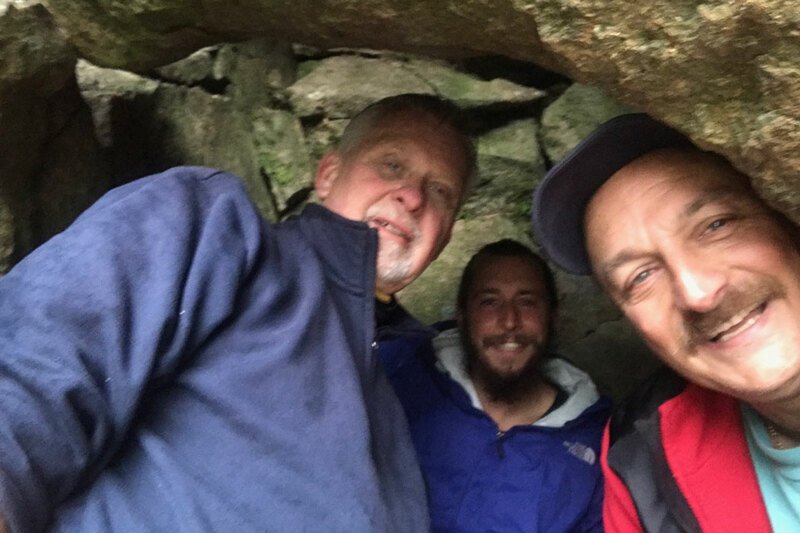 My son, a friend, and I did the hike together on a day that I’d normally have rescheduled, but it was just two days to deadline. We’re experienced hikers, but the fog rolled in and it began to mist as we summited, so we decided to descend. That hike down over large slippery rocks took a long time! As an added note of insanity, we then went down the road to check off the Step Falls Preserve in Newry — three silly adults laughing and sliding down the rocks in the cold rain on a cold day. On a different trip, my wife and I hiked South Turner Mountain in Baxter State Park. I have been coming to Maine since I was a kid and have always planned to get to Baxter, but I’d never quite made it. There is no doubt that my wife, kids, and I will return for additional hikes there. I plan to drag my family to a lot of the places I found as a result of these trips. I love playing games, and this looked like a great time and a chance to visit places I wouldn’t normally go. 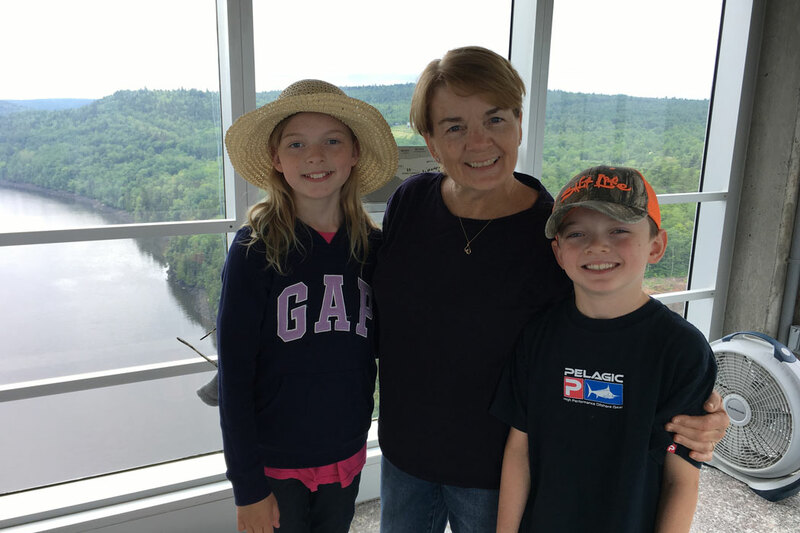 My favorite task was the Penobscot Narrows Bridge and Observatory. I’ve been there a few times, and I’ve tried for years to get my kids to come with me, but they never want to go — they just didn’t understand the beauty of it. Well, we went on a beautiful warm day and then off to Fort Knox with the kids, and they all loved it! Also, I learned so much about Moxie. 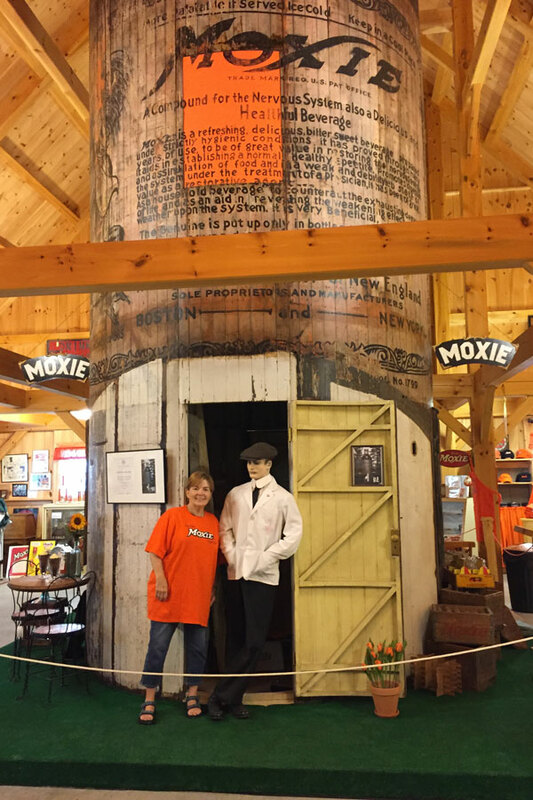 Did you know that Judy and George Gross [of Union’s Matthews Museum of Maine Heritage] had stored that house-sized bottle in their garage for 10 years? It was at one time a cottage, with windows cut into it and a spiral staircase, just like a lighthouse. 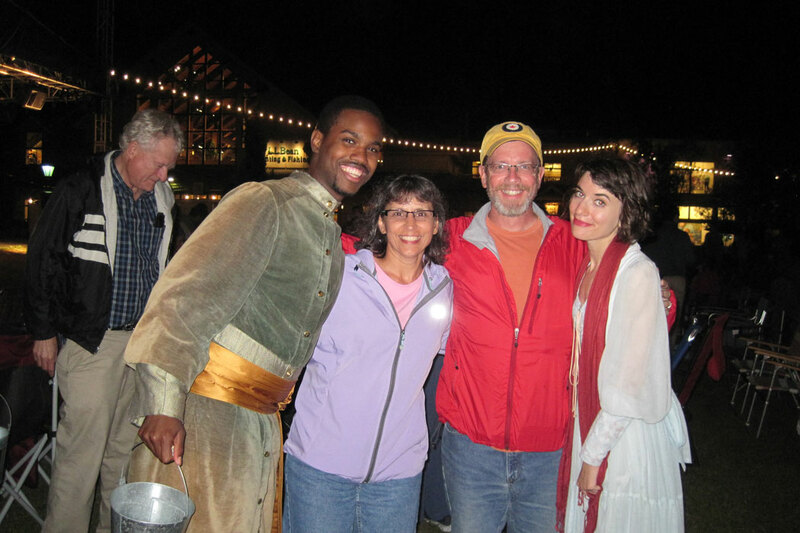 Judy and George were so welcoming, and we so enjoyed meeting them. I love Maine more every time I visit. The night before we went searching for the abandoned locomotives at Eagle Lake, my daughters and I stayed in Greenville. Both of them, age 25 and 22, downloaded directions on their phones, and we stashed our DeLorme atlas as backup. In the morning, we drove until 10:30 and then set out on foot, following the GPS. We chatted and enjoyed each other’s company and had walked about 2½ hours when we ran into a low, soggy area without any apparent way around. We had no interest in turning back — that would mean defeat, because we weren’t going to make the trip up that way again. As we trudged across the boggy ground, the girls started second-guessing the GPS coordinates, but my compass said we were heading due east, and their phones showed the trains were due east, so we continued. Soon we came to a stream. With an improvised walking stick, I tested the depth. The water came up to my waist and the girls’ chests, and the thought of leeches crossed my mind, although we fortunately found none. At 2:30, we hit a trail that felt promising, then ran into a couple coming the other way. 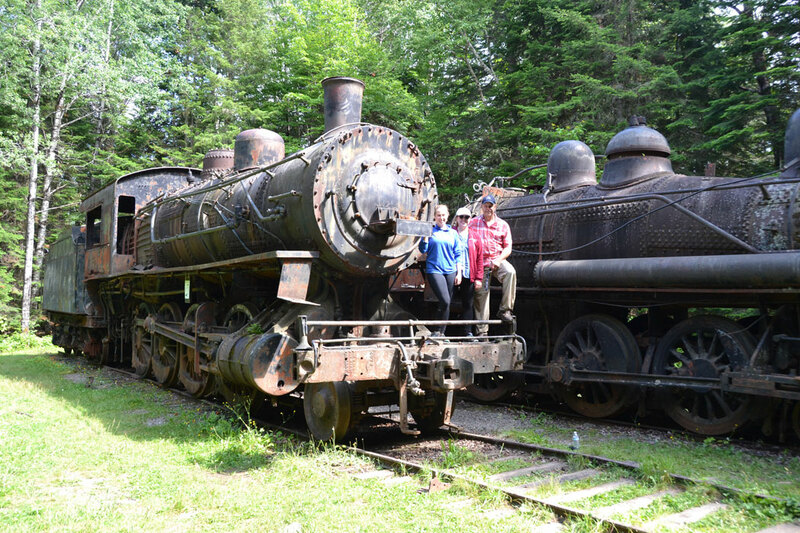 They said we were 10 minutes from the trains; 30 minutes later, the locomotives came into view, and what a sight! Two other couples were there, just preparing to leave. But once they heard about our trek, they offered to hike out an easier way with us and give us a lift back to our car. The Mitchells and Brewsters were our saviors that day. The perfect opportunity to get out and do and see so many things we have otherwise taken for granted. My fiancée and I were planning our wedding for last September when she came up with the fantastic idea of completing the entire scavenger hunt as a wedding gift to each other. She’s from Tennessee, and I’m from Maine, and neither of us had done most of the tasks. We decided it would be a special way to explore this great state we call home, while forcing us to enjoy the outdoors during a very busy time in our lives. 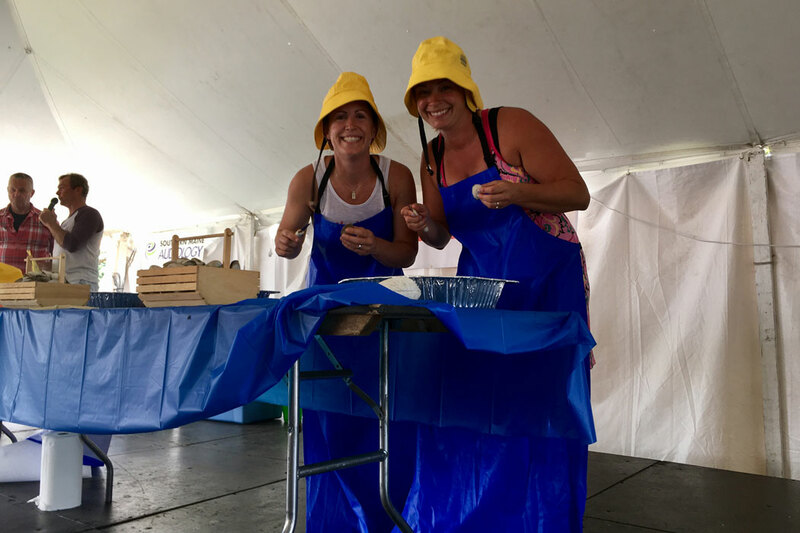 I spent my birthday shucking at the Yarmouth Clam Festival, and after Mel shared it was my birthday, the judge had the entire crowd sing “Happy Birthday” while I was on stage. Kayaking out to Green Island was like being in the Caribbean. We went in May without wetsuits and prayed we didn’t fall in. It is such a beautiful island! The pie from Puzzle Mountain Bakery was the best we’d ever had and delicious after swimming at the Step Falls Preserve all day. 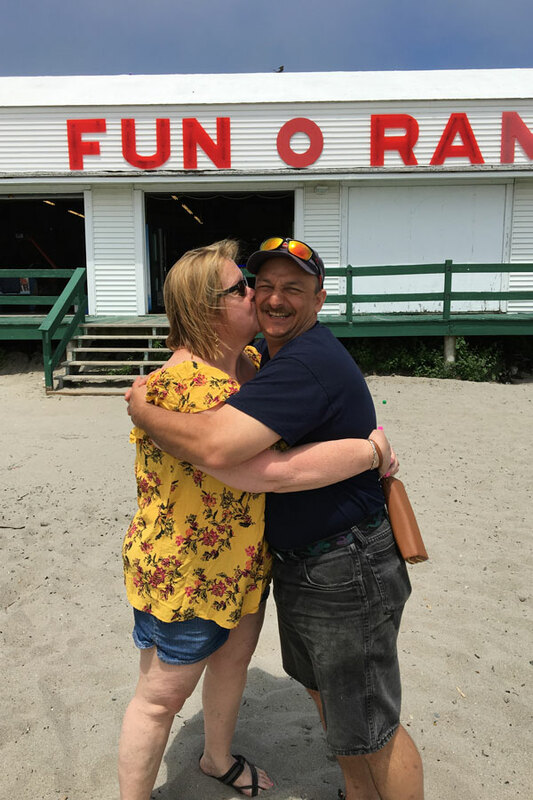 At the Bug Light Festival, we met fellow scavenger hunters Erin and Joel Howard and ended up completing the other festivals with them, spending the days together on Swan’s Island and at the Madawaska Acadian Festival. 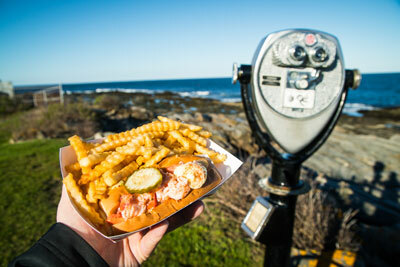 We love Maine so much, but this reinforced all the awesome things to do here. We live in a fantastic state, and being married to an out-of-stater has helped me appreciate this great place even more. One of our best days of the summer was spent mountain biking in Carrabassett Valley, then hiking Tumbledown Mountain. The single-track biking trails were fantastic. I love mountain biking, but my wife hasn’t done much of it, and she loved it, so huge win for me.  Down East describes Fat Man’s Misery as being on “the rugged two-mile Loop Trail,” but our research had revealed that the Loop Trail isn’t a loop at all (you crazy Mainers). It’s 2 miles one-way. No problem, we figured, even if the contour lines on the topographical map are squeezed so closely together they look like one big band. Those topo lines don’t lie. 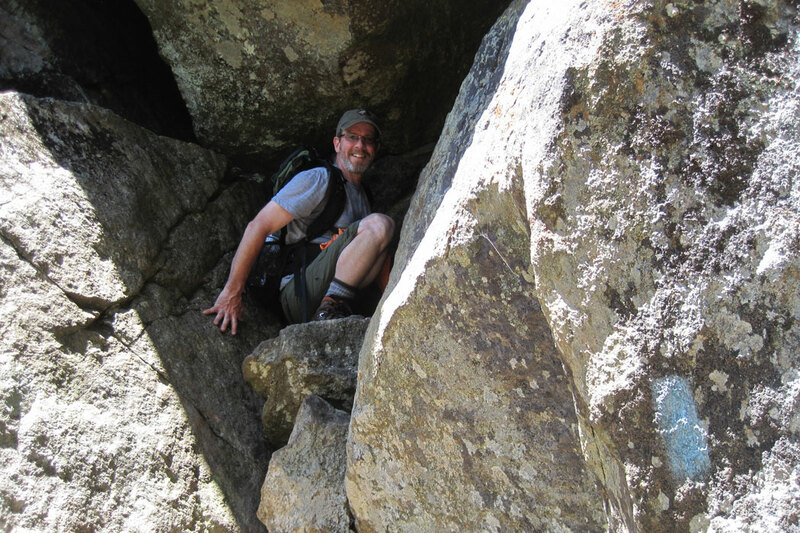 The Loop Trail is a knee-eating, teeth-clenching, hand-scraping, straight-up-vertical hike — and that’s before you get to the Misery, where the selfie was supposed to happen, only you can’t take a selfie without tumbling down Tumbledown, so someone else has to take the photo for you. We continued on past a small pond on the mountaintop, where dozens of people were swimming and sunning. They’d all come up the easy Brook Trail, which we took back to our car. Meeting people up there was terrific, and the hike itself was fantastic. What a fun and challenging day. The entire summer was educational. 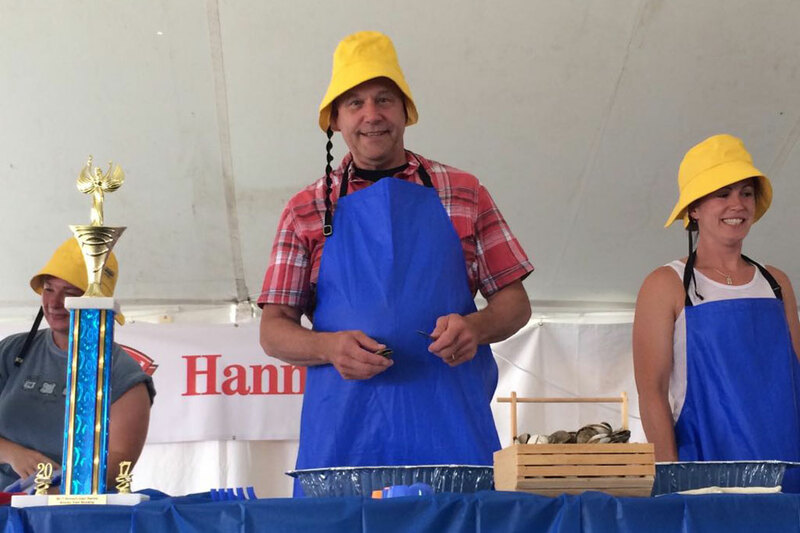 We learned something about Maine every day. I didn’t know how cool Bangor had become. I didn’t know about the Penobscot Observatory or how beautiful it would be to watch the morning fog lift from up there. 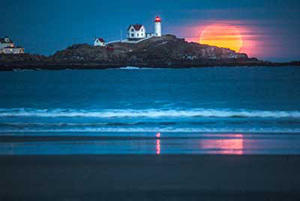 I didn’t know how beautiful sunrise and sunset in Lubec would be. I didn’t know how busy Route 1 in Wiscasset gets at lunchtime. I didn’t know I’d enjoy a Shakespeare play as much as I did or how much fun it’d be to ask for a selfie with the actors afterwards. I didn’t know about the Eagle Lake trains or how awesome it would be getting there, even in the pouring rain. I didn’t know about the lighthouse on Burnt Island and how invested the people were in preserving its history. I could keep rambling, but I’ll just say I learned a lot, and I had a blast doing it. Are you ready for this year’s adventure? 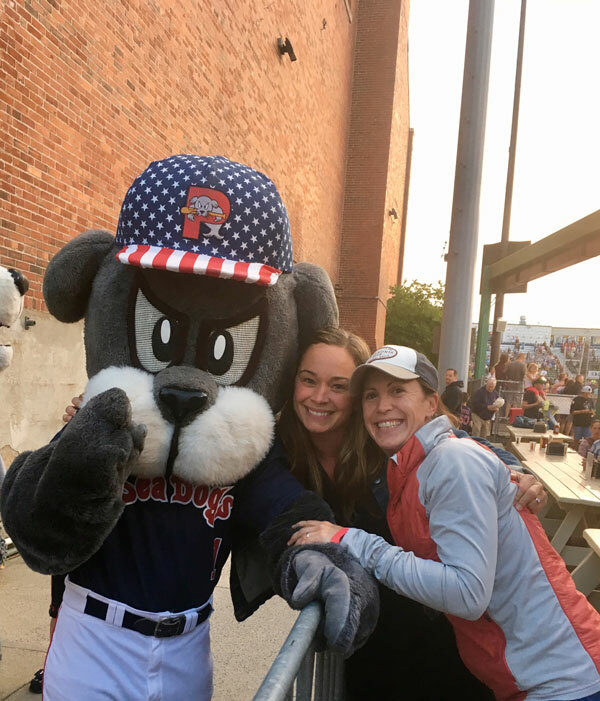 Start the 2018 Great Maine Scavenger Hunt!